Our last full day on the leg that feels like it will never end! We got going at 7am and I was happy to discover that I had phone service for the first time in three days. I was able to call my sister and find out she’s still preggers and also got to talk to the crew and Rockin’ a bit today. They are now at least 5 days behind us as they chose to stop in more towns the last couple legs and also took a zero in Lander. They are having a great time and that was good to hear. 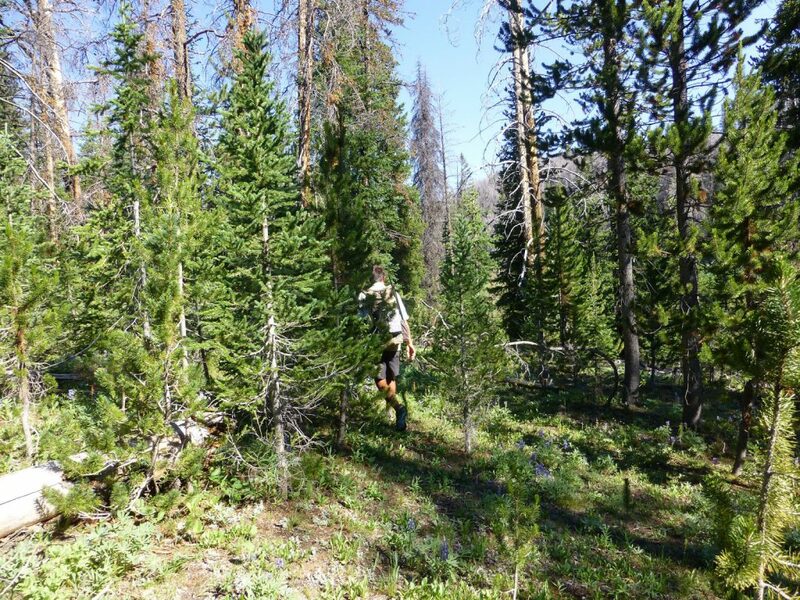 I also got to talk to Mtn Rat and he has decided to push to finish the trail by Aug 18th so he can finish before he needs to go and join his family on vacation. He may end up being the fastest hiker to do the trail this year and that would be really cool! Also, many people have asked me about Balls and Sunshine as we have yet to cross paths this trail. Well, they were ahead of me and then needed to get off trail for a few days last week to attend the funeral for Sunshine’s maternal grandfather. They are now about 3 days behind me, so there is a chance we will overlap in Montana. That’s all the updates I have for now. 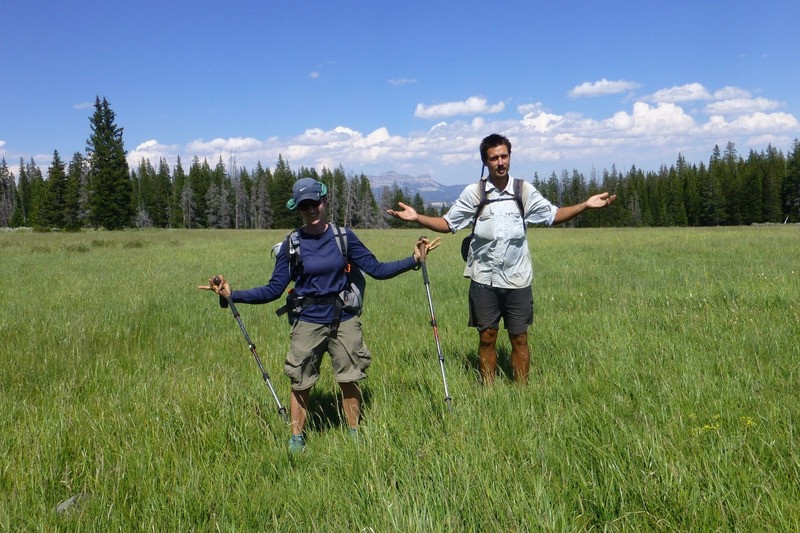 The next herd of hikers that we have yet to overlap with is in Dubois now and will probably leave just as we are arriving, so maybe we’ll meet them further north. 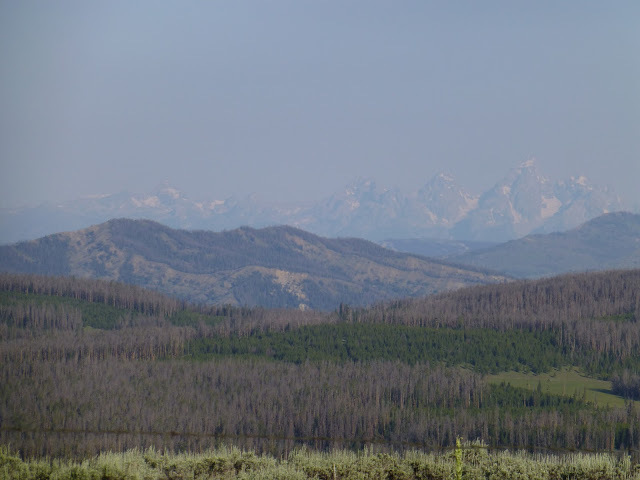 It was hazy this morning, but we could barely make out the Tetons in the distance. The best short backpacking trip I’ve ever taken was to the Tetons last summer on the Teton Crest Trail. 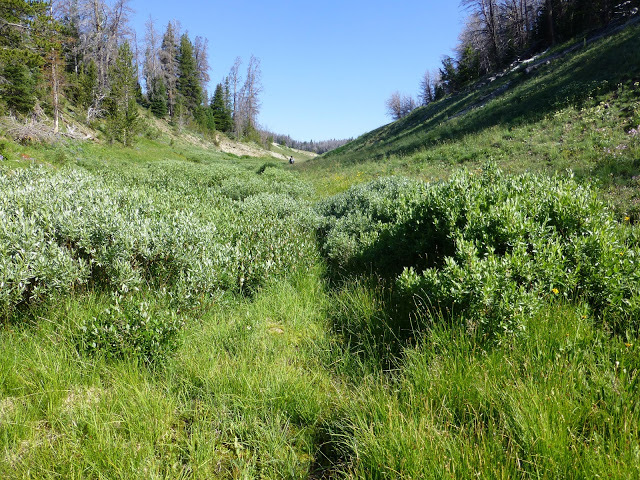 There are a few hikers each year who choose to take their own alternate route that will take them through the Tetons, but I won’t be doing that. It’s cool to see them again though. The trail today was not really a “trail.” We were pretty annoyed by it, but I think that’s because we are antsy to get to town. 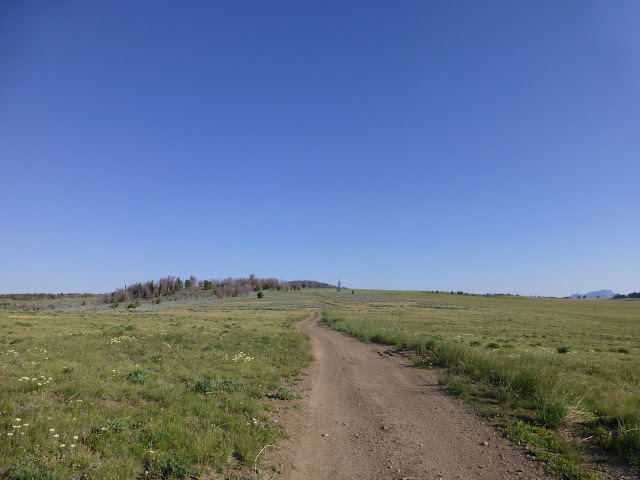 The “trail” was a lot of things today…a lot of cross country with little signage, a very faint indentation in a field of grass, just following a stream, an old overgrown forest road, or brief stints on actual dirt roads. We spent much of the day looking or the “trail” or listening to the audiobook, And The Mountains Echoed by Khaled Hosseini. Again, it was great to have that book as a distraction. Good news is that the temps weren’t as hot as yesterday. Here are Bloodbath and I wondering where the trail is. We are now only 5 miles from the highway where it will be a 30mi hitch into Dubois. We stopped early just after 6:30pm and it’s great to get to bed early again! We wanted to be about 5mi from town so that we can take what Bloodbath called a super nero. It will almost be a whole day off! We plan to get most town chores done tomorrow so our zero the next day can be most optimally relaxing. Oh boy!